Residents of Houston who experienced the floods last year know first-hand how important it is to protect valuables and your family’s most important records. Think passports, credit card numbers, bank records, mortgages or passwords to your financial accounts – these are of course the type of documentation that will be most important to you if water damage leaves you temporarily homeless. The FDIC, Federal Deposit Insurance Corporation, has excellent advice on this issue. Anything stored in your home, even in a safe or safety deposit box, should be sealed in a watertight plastic bag. Consider additional precautions. The benefits of storing your records – or duplicates of your records – in a bank safety deposit box may outweigh the inconvenience. 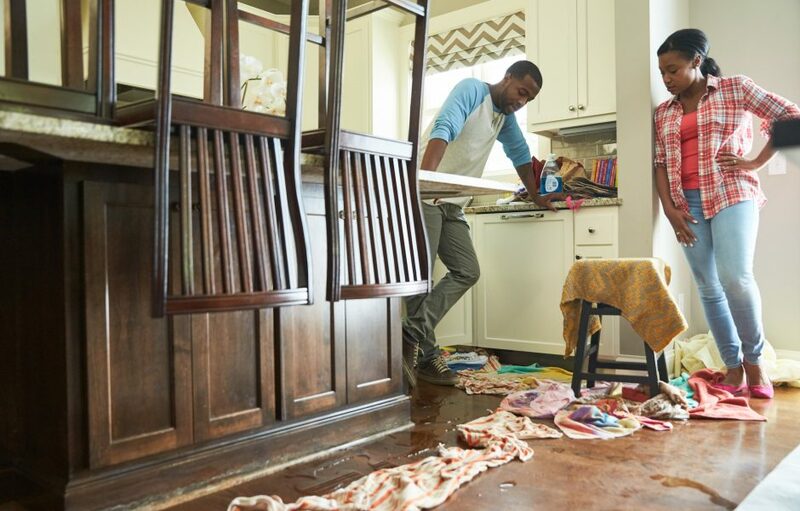 If you do suffer from water damage at home, our team at ServiceMaster Advantage is geared up and ready to help. Call us 24/7. We’ve been right here, serving residents and the largest commercial facilities in Houston for decades. Even better, that’s not all; we’re not going anywhere. Water, floods, fire and mold are our full-time focus. We’re locally owned with the resources of a billion-dollar corporation, ServiceMaster Clean, behind us. Our training and technology are second to none, allowing us to stay focused on our customers. Bacterial growth can begin within hours of an accident. Left untreated, the mold is fast behind. Call the professionals immediately and don’t settle for less than a service professional ready to arrive with on the spot service. Remove as much water as you possibly can by mopping and blotting up excess. Remove wet or soaked items as much as possible; examine and remove area rugs. Identify soaked wall-to-wall carpet for the professionals, do not attempt to remove it on your own. Loop draperies over a hanger and hang the hanger on the curtain rod to keep draperies from touching the floor and soaking up additional water. Wipe down furniture and place a couple layers of foil below each leg. Prop up the couch and chair cushions to help them dry evenly. Remove photos, paintings and sculpture or art, storing them in a safe and dry place. Keep your books packed tightly in place if possible. The pressure of storing your books in place helps to keep pages from warping until restoration professionals can apply appropriate and specialized drying procedures. Finally, open drawers, closets and cabinetry to help them dry. At ServiceMaster Advantage, we’re proud to serve Houston and the metro area communities we’ve raised our kids in. We hope you’ll see our trucks all over Harris, Montgomery and Galveston Counties—but most of all, know we’re here for you.